Did you know that there is a link between Nikola Tesla, music, DNA, and the Giza Pyramids? * Cymatics is defined as the study of how sound affects matter. To start to make sense of this, let’s look at how nature works. As shown in the short video above, the fibonacci series is found literally everywhere in nature, and its ratio (phi) is approximately equal to 1.618 (and its reciprocal is 0.618…). Here’s a lovely computer graphic (borrowed from here) that further illustrates how DNA is structured according to phi. There’s more information on this here as well. Now, as the Cymatics music video at the top of this page showed, matter responds to sound frequencies – and DNA is no different. Below is an excerpt from this article discussing an academic paper titled “The Infrared Frequencies of DNA Bases, as Science and Art“. 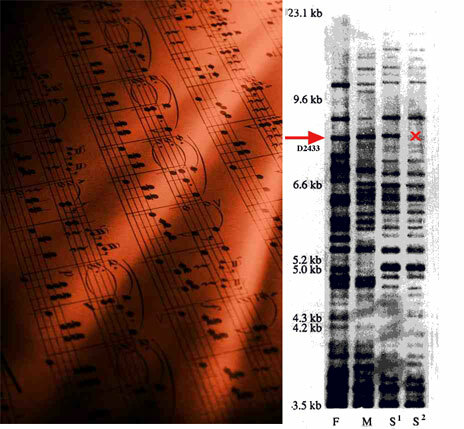 The paper is written by Susan Alexjander, an internationally known musical artist, who, in collaboration with Dr. David W. Deamer, professor of Chemistry and Biochemistry at the University of California, Santa Cruz, actually recorded the music of DNA! The following might be a tricky read, but pay attention – it’s awesome stuff! 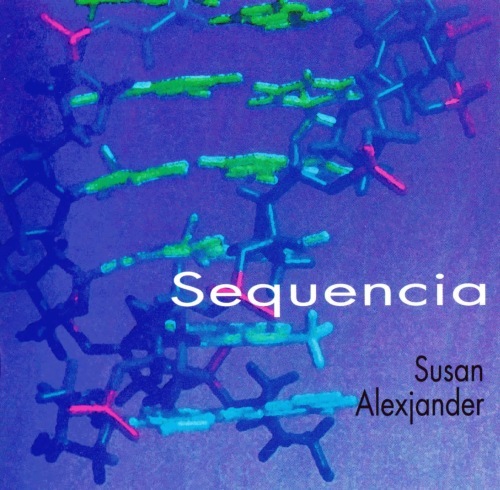 “In 1988 the author and biologist Dr. David Deamer collaborated on a science/art project which consisted of measuring the vibrational frequencies of the four DNA base molecules, translating them into ‘sound,’ programming them into a Yamaha synthesizer and using this tuning system as the basis for original compositions entitled Sequencia (1990 and ’94 CD). The realization of biological, infrared frequencies into sound has resulted in unusual insights into the harmonic fabric of DNA, and reactions from listeners suggest that our bodies may have a way of recognizing their own electromagnetic patterns through the resonance of tone. The bases of DNA and RNA have certain resonance frequencies related to the absorption of infrared light. This is a common property of all organic molecules, and in fact infrared spectra are used as a primary diagnostic characteristic in analytical procedures. As the light is passed through the sample, it is absorbed by the sample at specific frequencies and the instrument plots the absorption bands as a spectrum. For reference, below (left) is what the electromagnetic spectrum looks like,and on the right you see an example of what the data from magnetic resonance spectroscopy looks like. This technique is also used in MRI scans (i.e. “Magnetic Resonance Imaging”). (…) The problem of getting the frequencies within hearing range can be solved by recognizing that any hertz number divided in half or doubled will produce its corresponding lower or upper octave, respectively, whether it be sound or light. Thus, 8.7 x 1013 Hz can be divided in half, again and again, to create lower and lower octaves. Finally we derive, after dividing 36 times, a workable frequency which, if it were sound, would fall within the range of hearing. Thus we would have for the example above 1266, which is a very comfortable frequency for the ear, corresponding to a (slightly sharp) D#. To clarify, what is being discussed here is simply taking the sound frequency and scaling it along octaves, much like moving up or down a piano. See this chart for reference of frequency scale on a piano. The frequencies recorded are far outside the threshold of the human ear which is between 20 and 20,000 Hertz, and hence why the recordings had to be scaled to lower octaves. The sound of DNA is way off the scale on the right, beyond even the hearing of dolphins. (…) Four base molecules were measured: adenine, cytosine, guanine and thymine. Each base molecule after being subjected to light yielded about 15 or 18 frequencies; 60 in all. Once this data was collected, it was iterized down into a hearing range and programmed into a Yamaha DX7 IID synthesizer which would create sound banks from any hertz numbers provided as input. A special electronic keyboard was needed because the tunings that were derived were almost all microtones, or tones smaller than a normal half-step (for instance any c to c#) on a piano. 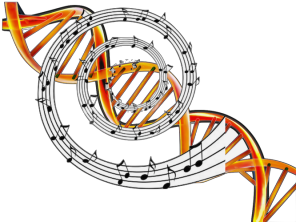 For further information on how DNA is turned into music, or cymatics in general, this is a great place to start. As explained here, Susan Alexjander and Dr. Deamer found that there were four fundamental frequencies that appear in DNA: F#, C#, A and D#. “Are The Frequencies in DNA Bases Harmonically Ordered? They most certainly are. By comparing all 60 pitches one can find all of the precise ratios found in the first 16 harmonics of the overtone series: octaves, P5th, P4ths, Major and minor thirds, Major and minor 2nds and 7ths; even a ‘flat’ seventh. Mathematically, the odds of this happening at random are almost non-existent. MATH makes processes visible. It decodes meanings. We can see the self-organizing power of the universe, and because the universe is a community it is constantly communicating. Are the sounds of DNA communicating anything to us? By now it should be clear that everything in nature is connected to sound, and this by extension means that everything resonates at a particular frequency. 432Hz is the harmonic intonation of nature, and is closely related to 8Hz, which is said to be the fundamental “beat” of Earth, known as the Schumann resonance. 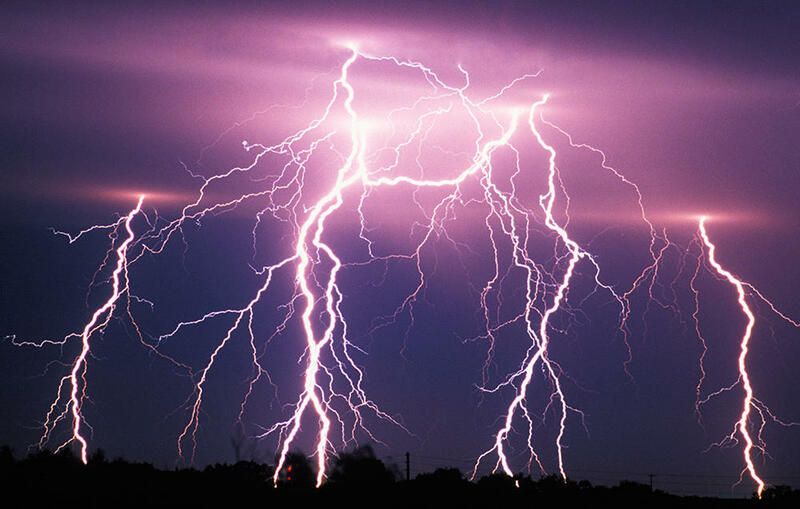 Schumann resonance is an electromagnetic resonance, which has its origin in electrical discharges of lightning within the cavity existing between the Earth’s surface and the ionosphere. This cavity resonates with electromagnetic waves in the extremely low frequencies of approximately 7.86Hz – 8Hz. As for humans, the “ordinary” thought waves created by the human brain range from 14Hz to 40Hz. This range only includes certain types of dendrites belonging to brain cells, predominantly within the left (the more rational) hemisphere of the brain, which is the center of activity. 8Hz is not only the natural frequency of the Earth, but as it happens 8Hz is also the frequency of the double helix in DNA replication. Melatonin and Pinoline work on the DNA, inducing an 8Hz signal to enable metosis and DNA replication. A form of body temperature superconductivity is evident in this process. Researching Schumann resonance further (you can start here), it becomes abundantly clear that we are connected to nature in a very profound way. Not surprisingly, playing and listening to music that has been tuned to 432Hz would make your body, and the organic world which surrounds it, resonate in a natural way. This would fill you with a sense of peace and well-being, regardless of the kind of song chosen to play or listen to. Opening your ears for music that has been tuned to the “scientific” 432Hz frequency would benefit the entire planet and everyone who lives on it. Listening to 432Hz music resonates inside your body, releases emotional blockages, and expands consciousness. 432Hz music allows you to tune into the knowledge of the universe around us in a more intuitive way. Knowing what you now know about resonance and frequencies, it perhaps shouldn’t come as a great surprise that a Japanese researcher called Masaru Emoto found that water cells responded differently to different words, and even thoughts. In other words, words and thoughts have frequencies that can resonate with water… which is particularly remarkable given that humans are made up of mostly water! 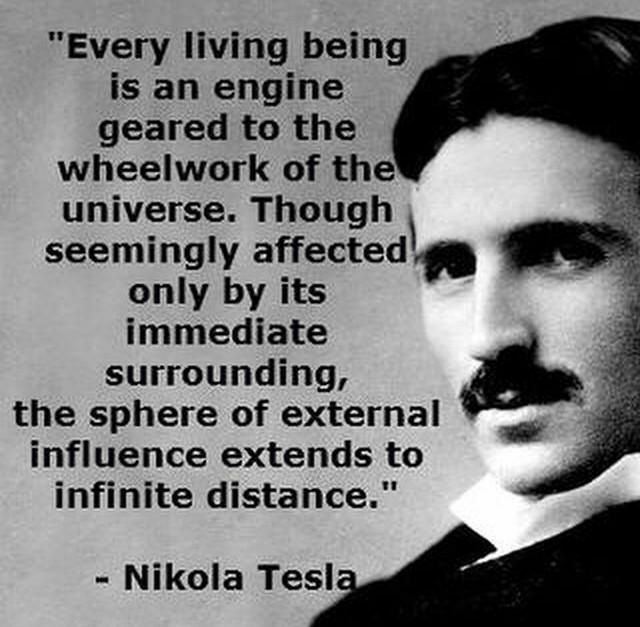 Tesla invented a medium for wireless transportation of electricity (i.e. the Wardenclyffe Tower, pictured below) by understanding the natural resonant frequency of the Earth. Unfortunately, the powers that be (in this case Tesla’s financiers JP Morgan and Westinghouse) pulled all funding and he was kept broke and isolated in a hotel room for the rest of his life as there was no way for wireless electricity (or many of his other brilliant inventions) to be monetized. For anyone interested in learning more about this story I recommend reading this biography. An American inventor by the name of Dr. Royal Raymond Rife (1888-1971) found that pathogens, bacteria, and viruses (including cancer) each had a resonant frequency, and was able to target and destroy these cells by means of an electronic resonator. I highly recommend reading more about Royal Rife and his invention, perhaps starting with this article. This website also has a wealth of good information. Another person who discovered the secrets of resonance was Ed Liedskalnin, who build Coral Castle by moving huge blocks of limestone using only a harmonic oscillator based on magnetism. There are plenty of videos on youtube about Ed Liedskalnin and Coral Castle which I recommend looking into. I also highly recommend checking out this site for more information. Let’s take a closer look at the Giza Pyramid, in particular its geometry. As this article outlines, the dimensions of the pyramid vary from phi (discussed earlier) by only 0.025% (3.67cm), and from Pi by only 0.121% (17.7cm). The pyramids also have incredibly precise architecture and engineering feats (eg. cutting and measuring huge stones to fit perfectly, while also incorporating interior shafts at angles – none of which modern machinery can replicate). The speed of light in a vacuum is 299,792,458 m/s. And last but not least, as the article referenced earlier pointed out, each of the four chambers of the Giza pyramid have the same four fundamental resonant frequencies as DNA… F#, C#, A and D#! The Egyptians lifted and cut millions of huge stone blocks (from miles away no less) in a way no modern machinery can. They encoded phi and pi into their structure in a way so precise that no modern architecture can. The latitude of the Giza pyramid exactly matches the speed of light. The pyramid complex perfectly aligns with Orion’s belt. The resonant frequency of the four chambers of the pyramids match that of DNA. At the very least, we can conclude that the architects of the Great Pyramid of Giza were extremely intelligent and had a very advanced knowledge of math and astronomy far beyond the standard of their time – and probably even far beyond what is taught in our schools and universities today. So that begs the question, what happened to that knowledge? Disclaimer: Always do your own research and check your sources. Question everything! Lastly, don’t forget to “follow” this blog for automatic email updates to notify you when new posts are published. I am totally flabberghasted after reading and listening to this! I will be very excited indeed to read your next blogpost! Thank you for this first one. Very interesting indeed. looking forward for your next blog. Your information is very well presented. I studied all of this back in the 80’s with Gregg Braden and Drunvelo. Well done. I think one of the greatest difficulties we face when ‘offering Truth’ – is that ‘people/audiences’ try to rationalize or ‘get on top of knowledge’ -that is far greater than their conscious development of mind ability- in that I take my hat off to you and others who keep trying to impart knowledge and Truth in order for educate audiences to progress – bit by bit. My understanding is that we create our physical manifestation of reality from within, and similarities and synchronicities occur between us allowing us to experience similar realities-because of our magnetism and affiniiies of power structures ( common design) within our make up. So, my heart is asking- why is it important to know if the world is flat or round?- I have lost the plot after listening to too many youtubes now- however, our individual understanding should come from our centre of being and not in trying to read / be informed by an external physical manifestation of reality to become informed by what seems to be an illusional spiritual state? I only use the external ground of reality in order to support inner beliefs- and that can be deceiving enough- so certainly would not count on it as absolute in any way. Science and maths are beautiful gifts in order to help us learn- but in the end it is one big unified field. Still fascinating, thank you for your work. 29.58 on Google maps.Can you explain? 29°58’45.28″N is the latitude by degrees, minutes, and seconds (DMS notation). 29.9792458 °N is the geographical coordinate (in decimal degrees). I’m confused about the statement between the speed of light and the latitude of Gizah, because these two quantities are not expressed in the same units. It’s probably true that Egyptians knew how to measure angles in degrees and used something close to the decimal system. However, the meter and the second are modern units. The Egyptian were not measuring time in seconds, and they were not measuring distance in meters. Hence even if they were able to measure or compute the speed of light with extreme precision, they would have absolutely no reason to use m/s as their speed unit. They would probably use cubit/hour as their unit. And if you write the speed of light in cubit/hour, you get a result that looks nothing like the latitude of Gizah. So do you have some kind of explanation ? Were the Egyptian able to predict that we were going to use meters and seconds and hence placed one of their pyramid according to things that would only be relevant 3000 years later ? Thanks, those are some very good questions Roger, the answers to which I’m actually trying to figure out myself! It’s a little bit tricky to offer a coherent explanation, but I’ll offer you some thoughts I have on the subject regardless. First of all, given what has been presented in the article on this page, as well as in post #13 and #14 (among other things), I’m inclined to believe that sound frequency is what is the key component in our reality, rather than light. That said, it does still leave the question about the pyramids matching the speed of light numerically. 1. The speed of light is in fact not what they say it is (299,792,458 m/s), and just arbitrarily chosen by the powers that be. Given that freemasons are known to have strong connections to Egypt and the occult – and the fact that they LOVE to sneak their occult numbers into science, this could be yet another example of that. A homage to their Sun god Horus, if you will. 2. If the speed of light is in fact what we’re told it is, then it would appear that there is something much more profound going on. It might be interesting at this stage to note that Horus (who’s eye adorns the pyramid on the dollar bill) is often referred to as the “light bearer”. With all that said, I’m personally quite open to the idea that the speed of light is not a constant. That might sound outrageous, but please watch this insightful TEDx presentation and you might be inclined to agree. Please note that although we’re still trying to solve this mini-mystery, it doesn’t change the fact that the (given) speed of light and the coordinate of the Pyramid ARE identical numerically, and undoubtedly has huge significance. Thus, this fact remains, even though we don’t yet have all the answers. Regarding the water/ spoken words experiment, wonder what it would look like if “flat earth” were spoken into the water? When will you have the next post? Interesting question! Glad to hear you’re eager for more material 🙂 As it happens I’ll be posting several posts this week with tons of awesome stuff that I’ve been putting together in the last month! Hi Richard, just finished listening to you Cathy and Zen discussing “Purpose and Calling”. Jumped straight to your blog. Incredibly interesting and awesome. Thank you. Hey Richard! I absolutely love all this, I would just like to say that I feel that you are an awesome human being. I am trying to spread the word to the few friends that I have. Your efforts have seriously filled in a few spots that I was really unclear on, such as the Vatican symbolism with the cross. I always thought that their ‘costumes’ were just strange … perhaps now I have a somewhat more clear understanding … the “plain sight” situation. 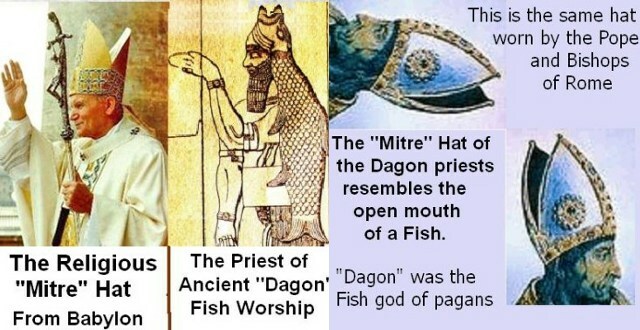 So what of the “fish head” hat/crown the pope wears, can you go a bit more into that? You might find it useful to have a quick glance at this illustration or this wikipedia page. I came to your site after listening to your interview in Zen Garcia show. Great stuff! You can give a succinct explanation on a complex subject. The subjects covered in your blog show the truth of Bible. I’m still learning…Thank you! I’m sure you mean well, but this is a classic case of cherry picking information to suit your argument. To begin with, the music video you kick things off with uses several camera tricks and gimmicks as they openly reveal in their making of video. That water from the hose isn’t changing shape due to that drum kick and it’s also had to be filmed at a different frame rate. He isn’t playing music via that plasma globe, it would react to his hand with or without sound. It makes a great looking music video but it’s skewing what is actually real. Further more, the 432hz versus 440hz conspiracy idea is pure speculation. There was a meeting by a clandestine group who agreed to change it to 440hz, yes. But that was one of many meetings all over the world by many different musicians, singers and composers who were trying to settle on a universal pitch that could factor in the diversity of an increasing number of instruments from all over the world. I guess they were all Freemasons were they? This idea that 432hz was used by the ‘ancients’ is pure fantasy. How do we know? Because there’s no record of it. If it’s Earth ‘natural resonance’ please provide proof of this. Your phi theory regarding rabbits is also flawed. You’re taking the perfect conditions to come up with these numbers. You should study a real group of rabbits, several in fact, to come up with an average (median) result. I doubt they would match your phi model then. As for Dr. Emoto, again a lovely idea. But do we really think the words ‘Mother Teresa’ results in a beautiful ice crystal forming? If so, let’s try ‘Teresa May’. Theresa, if the Mother Teresa experiment is correct, clearly must have a positive vibrational impact. And ‘May’ being the month of spring and life blossoming, must also have a positive vibrational range, no? So go on, stick the words ‘Theresa May’ on some ice and let me know what happens. Thanks for your comment Chris, much appreciated. If you can change the universal tuning frequency standards you don’t need every single musician to be in on it. Just like how you can control a newspaper simply by controlling the editor, or control a school by controlling the headmaster. The theory about the rabbits is not MY theory, rather it is a well-known mathematical theory by an Italian mathematician who the Fibonacci series is named after. I invite you to study his work as you will find that the rabbit-phi theory does hold up to scrutiny. I tried to sign up on follow and couldn,t find it. Please sign me up. Thanks. Would it be possible for you or perhaps other followers to build a Pyramid scale model out of a conductive material. like concrete with iron filings mixed in. Coat it with a non conductive material. Leave a hollow in the centre and put a speaker in there. Cap the top with Metal, Iron or copper ? Then use a deep tone from the speaker that is natural to the Earth. See if the top of the Pyramid then emits a frequency that can be picked up by tools ( perhaps crystalline ) that are harmonically resonant to the Pyramids tone. and see if it has a range. Someone must have the skills to do this. Chris Dunne in his book talks about the Giza Pyramid as a Powerplant, run naturally by splitting water as fuel into Hydrogen and Oxygen. I believe that the water is split by the frequency tone. However, it would be good to see if the first part worked. Hey thanks i was waiting till you came with this years ago. In reality it has to make sence for you to go on. Pritty soon im going to do somthing i alwayes do. Its difficult for anyone to ever put it in words and how i have live with this infermation on the end of this is a new reality where you are fighting to let everyonknow. Richard,Thanks.Check out Gerald Clark.I think you two would hit it off.I’m a blues guitarist.Here’s a blues guys take on F sharp,A, C sharp and D sharp. If you call F sharp or C sharp the piano player is gonna probably groan and then give you a wierd look. “A” is I guess sorta normal to most players but “D sharp” is the bluesiest key of all.Hendrix and Stevie Ray Vaughn both tuned their guitars to “D sharp/E flat”.Guitar is normaly tuned to E. Play all the black notes and it gives E flat minor pentatonic scale.Now go listen to Ray Charles do Mess Around or I’m Busted and of course Jimi Hendrix doing Hear My Train A Coming and Stevie Ray doing Pride And Joy.”E flat” now there’s a blues key. What a great read Richard. I’m truly inspired by the future when I read articles of this nature. I am sharing your work wide and far. Thank you. Richard, I’ve read through most of your blog. Do you have anything to address the false science of evolution? This lie is believed by so many, and I’d love to see you deconstruct and destroy it. I came across this blog through a massive rabbit-hole (go figure) and I’m very impressed at the ministry and discussion that’s going on here. Almost immediately I felt called to pray for you and this community after reading for just a little while. If you don’t mind me asking here, how may I pray for you specifically in regards to your ongoing efforts? Thanks so much and I want you to know I believe what you’re doing here upholds the truth and is pleasing to Him! I’m excited to read more! Enter by the narrow gate friends. P.S. If their are others here in need of prayer/intercession and are comfortable discussing it here it would be my pleasure to pray for YOU as well!